Outlander's third episode is quickly upon us. 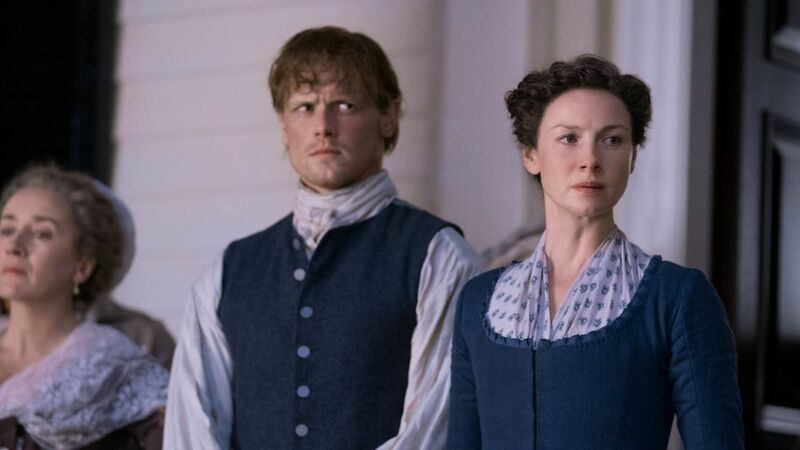 "The False Bride" finds Jamie (Sam Heughan) and Claire (Caitriona Balfe) on the search for a new home since their stay at Aunt Jocasta's estate River Run was cut short after Claire performed surgery on a slave. Mountain man John Quincy Myers (Kyle Rees) offers to help them find a place to settle, but the journey proves difficult, and the Frasers have their first run in with Native Americans. A new face has been introduced. Back in the 20th century, Brianna and Roger reunite, and their romance begins to heat up. "I want you Brianna. I can't say it more plainly than that," he tells her. Swoon! Check out photos from "The False Bride" in the gallery above.